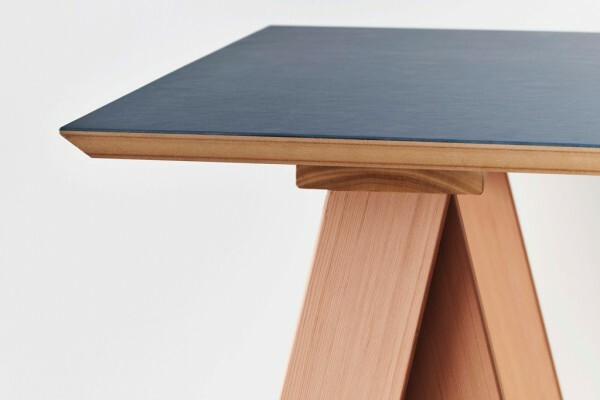 Made from dimensional lumber, the AA DESK is the next step in the development of the AA STOOL series. 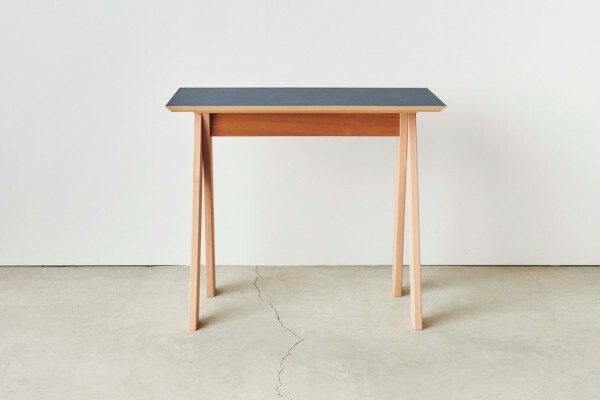 The edges of the tabletop have been tapered so as to highlight the legs of the desk, which have inherited the iconic AA frame. 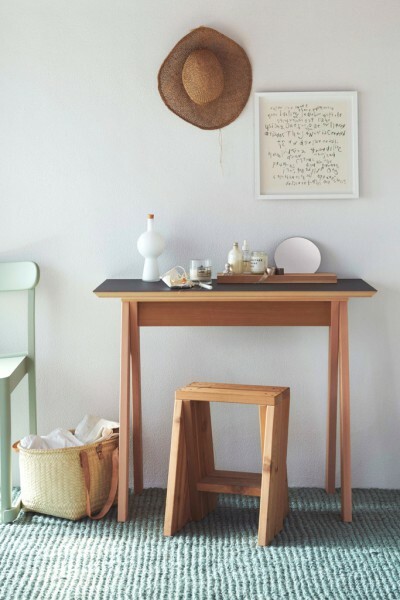 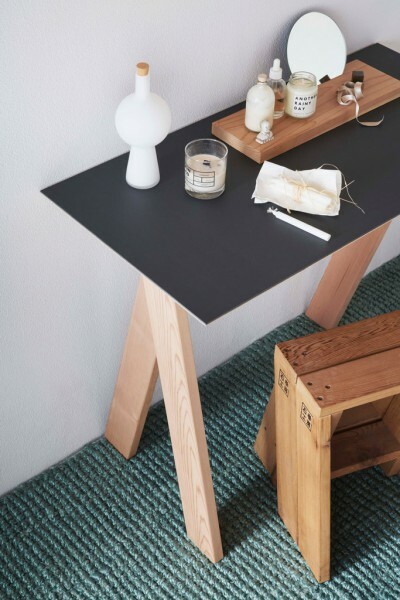 Made of natural ingredients, the linoleum tabletop has a soft texture yet remains durable against dirt. 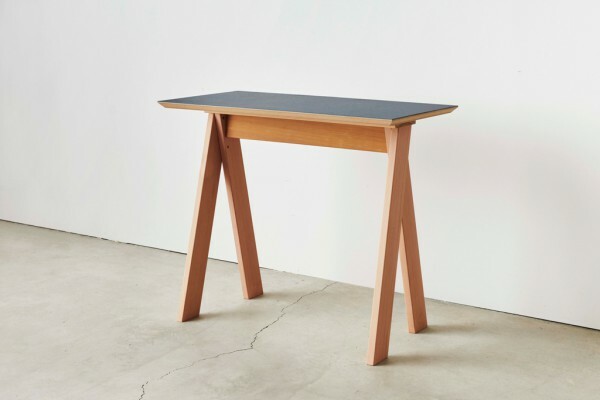 It is easy to move around, making it a suitable personal desk.